28th March, 2012 - Linspirat rev 2.1 released for 5800 & 5530.. I would like to say that this cfw is simply awesme n best cfw i've used ever.. If you are a graphics freak n love your phone to look pretty, then this cfw is what you need..
"LinsPirat LTS" is unlike "LinsPirat v1.0" - a more professional and sober looking OS. You can say - a fat-less LinsPirat . 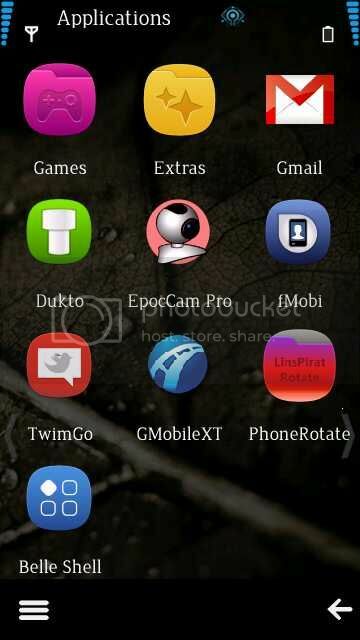 I tried to achieve a state where you feel different using your very known Nokia Device. Don't know if I failed or achieved tiny bit of success. As with LinsPirat v1.0 Designed by me all the way (Surely grabbing ideas from here and there and combining my tastes). Own resources and vector arts. With LinsPirat LTS feel a more sophisticated and eye friendly UI. 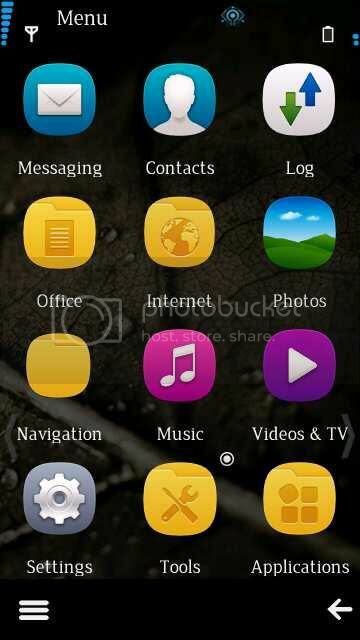 -- Fast and colorful (60mb+ ram at start up , loads of color in LinsPirat theme). -- NEW! LinsPirat LTS (Music) Theme! -- NEW! LinsPirat LTS (Music) Walls. -- NEW! 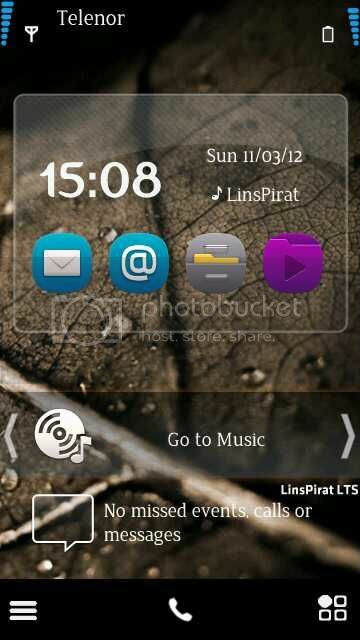 LinsPirat LTS theme. -- NEW! 5 LinsPirat Ringers (Personally edited from fav tunes). -- LinsPirat v1 theme Revamped (will be available for autoinstaller). -- New! 6+2 LinsPirat HD walls. -- Music Player Supporting Karaoke with any .lrc (15.2 default). -- New and reworked ANIMATED LinsPirat LTS bootscreen (mbm file for smooth animation). -- Glossy swipe to unlock. -- Common good apps cooked within CFW. -- Rompatcher with proven patches. --Effects : Android Theme effects by nhelske. Neutron v12 team (Abhitheracer and Gaurav619) for the mediabar (I edited using Newcooller's mediabar editor tool ). A BIG THANKS TO Tristar2 for Porting the CFW RM559 and testing it too! You are always special to have in the LinsPirat Projects! A reliable arrow in the arsenal to say the least! Thanks to Aki07 for his hard work in making LinsPirat LTS Special Edition using N97v30 as base!!! Really gr8 bro! Thumbs up! The accel swith icon is not for accel switch. Rather it will rotate your screen permanently until you press that again ( WORKS ONLY WHEN SENSOR IS OFF - LOGICAL right?). We actually need that kinda rotation while browsing the web (lying on bed ) or reading a PDF. HOWEVER - Accel switch is integrated. If you hard reset or factory set your device, please flash again to get the 5 new equalizer preset. --Use provided UDA (Otherwise you wont get 5 equalizer presets). --Format memory card from within phone before you give it a go. 1) Nokia 5233 RM625 -----> "DOWNLOAD"
2) Nokia 5230 RM588 -----> "DOWNLOAD"
3) Nokia 5800 RM356 -----> "DOWNLOAD"
4) Nokia 5800 RM428 -----> "DOWNLOAD"
5) Nokia 5530 RM504 -----> "DOWNLOAD"
6) Nokia X6 RM559 c6v41 ------> "DOWNLOAD"
7) Nokia X6 RM559 n97v30 -----> "DOWNLOAD"
I just browse the web and posting all modded firmware and I am not the creator of any of these firmware.My special thanks for the creator of these "CUSTOM FIRMWARES"(CFW).I just want to explore CFW to everyone. 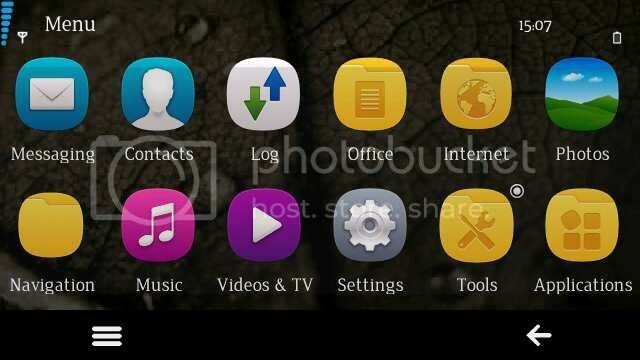 Install Unsigned Application using "NORTON SYMBIAN HACK"